Originally Conceptualized in 2004 the main focus of Sanctus Nex’s music is formulated around the study of Ontology and Theology. Ideologically the compositions on Aurelia raise questions concerning the philosophy of religious doctrines and the many paradoxes that often surround them. It is essentially an inquest into these belief systems and their complete lack of Divine Truth. Interlinked on the album are also ideas exploring the metaphysical aspects of objectivism and the occult. Although a certain degree of traditionalism is kept, musically Sanctus Nex articulates its own experimental form of Black Metal. 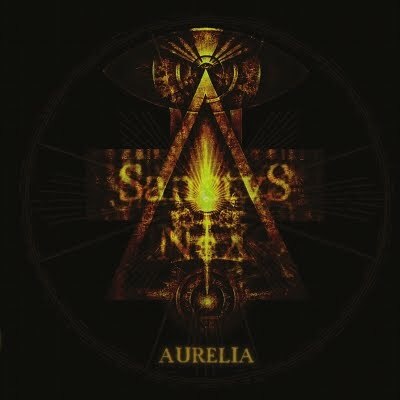 Throughout Aurelia distorted melodies and chords reverberate alongside intricate rhythms and harsh vocals to create an arcane, esoteric and sometimes even spectral atmosphere. Vicious riffs often change into melancholic and calm passages and these in turn can evolve into sarcastic and antagonistic moments. The song structures advance and develop into powerful crescendos, always ending at an intense and powerful climax.